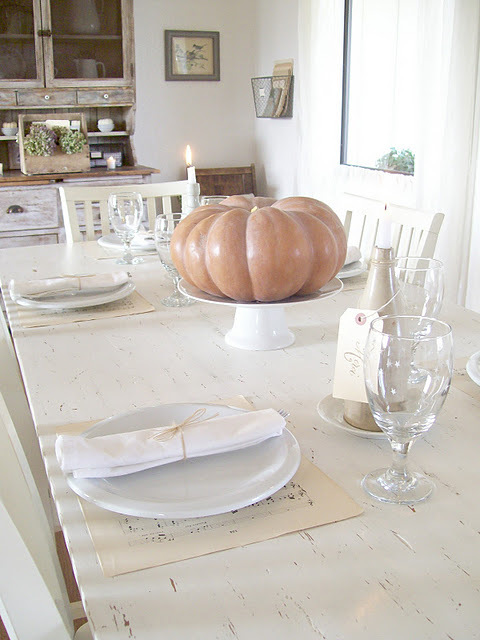 If you're hosting Thanksgiving or a fall celebration this year, how you decorate the table is just as important as the food you serve. The hottest trend in table decor this time of year is natural and rustic. Nature-inspired decor is very affordable, because you can mix and match as well as use items from your back yard or grocery store, like twigs, leaves, pumpkins and other fall produce. This look is so casual and simple. The trick to pulling this look off is finding the right pumpkin. If you can't find a Cinderella pumpkin like the one in this picture, you can try a local farmer's market. I think it would look even better with a white Cinderella pumpkin. The all-white table setting is the perfect backdrop for such a beautifully simple centerpiece. 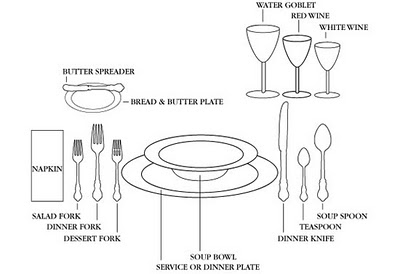 If you don't have all-white dishes, you can pick up some formal white plates at Dollar Tree. Yup, Dollar Tree. At just a dollar a piece, you can get as many pieces as you like to mix and match. This blogger is a genious. She created a beautiful country table using a plaid wrap. 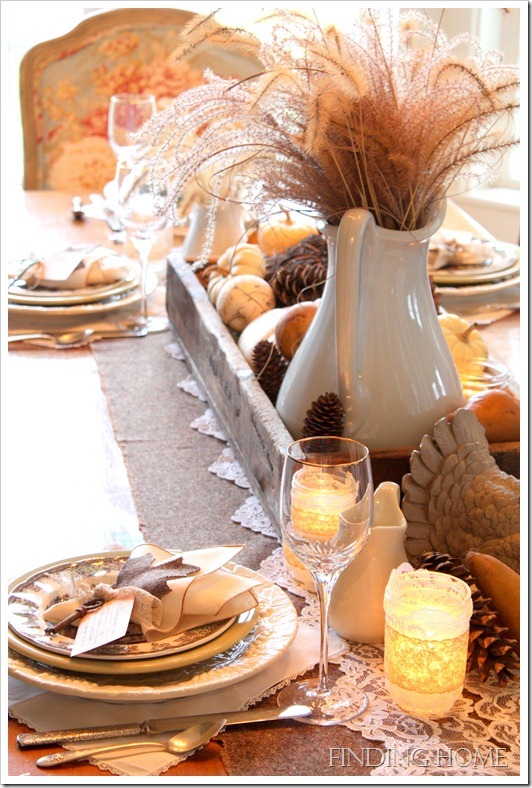 Create your own unique table scape by using a throw, wrap or scarves. Don't fuss over measurements. Just focus on the style of fabric you want. 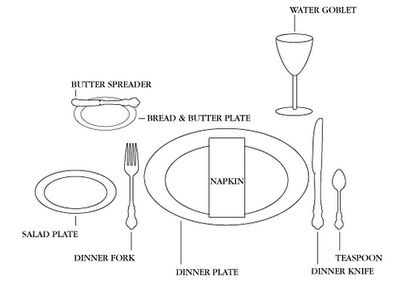 Once the placesettings and centerpiece are set out, the overall look will come together. This is a beautiful example of an over-the-top shabby chic table. The best thing about using country fabrics like burlap is that your runner doesn't have to have finished edges. If you can't find the fabric or print you want in a commercial table runner, you can simply go to a craft store and get a long strip of fabric. If you want to clean up the edges without sewing, use pinking shears. Add on strips or lace or wide floral ribbon for a luxurious, layered table runner. How beautiful. I don't entertain, but if I did I'd zoom right back to this post! Shared!